Choral singing has made a vital contribution to Finland’s history and is a crucial building block of Finnish society. Pasi Hyökki is well versed in the challenges and rewards of conducting a male choir institution and a children’s choir institution, each with a strong tradition and reputation. Professional choral singing, however, is pitifully underdeveloped in Finland. In spring 2018, three venerable Finnish choral institutions celebrated significant anniversaries: the Academic Male Voice Choir of Helsinki (Akademiska Sångföreningen) at 180, Muntra Musikanter at 140 and the YL Male Choir at 135. Looking at the history of these three choirs is to look at the twists and turns of Finnish history. All three were established in academia, and all three are male choirs – after all, women were not admitted to university until the early 20th century. All three have always been active in commissioning and performing new music. 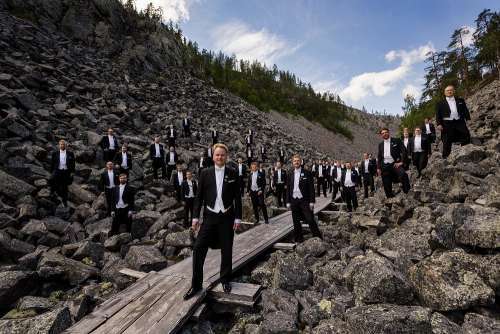 According to Pasi Hyökki, artistic director of the YL Male Choir, Finland has a firm foundation for male choir singing that may well be unique worldwide. 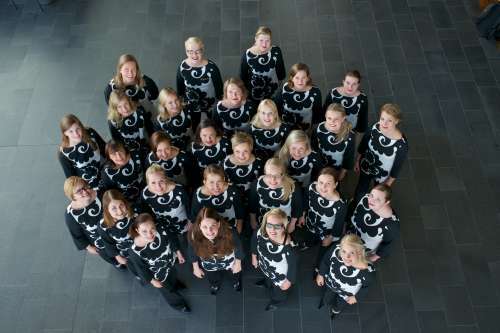 Formerly known as the Helsinki University Chorus (Ylioppilaskunnan Laulajat), YL was originally established as a vehicle for promoting the Finnish language and culture. Hyökki goes on to explain that after the Second World War this ideological function of choral music was no longer considered necessary. Male choirs responded by evolving the instrument and taking it to the very extreme of art music, for instance by performing avant-garde works by composers such as Erik Bergman, himself a choir conductor and well acquainted with the instrument. Today, however, it is impossible to ignore the huge social significance of choral music. The choir is, of course, commissioning new music for this purpose. The YL Male Choir and Pasi Hyökki. In his other job as the conductor of the world-famous Tapiola Choir, Pasi Hyökki is in a position to shape the future of Finnish choral singing. The choir was founded by Erkki Pohjola in 1963. Hyökki notes that an adult choir has much firmer preconceptions about which things are difficult and which are not. In the best cases, the kids are so taken with the music that they may spontaneously sing a piece by, say, Einojuhani Rautavaara in the car on the way to the summer cottage, much to the amazement of the parents. Hyökki wishes above all that children in Finland would sing more. Apart from his work with the YL Male Choir and the Tapiola Choir, Pasi Hyökki leads the Talla Vocal Ensemble and remains closely involved with the EMO Ensemble mixed choir, which he established in 2000. Originally consisting of students at the Espoo Music Institute, the choir now works with guest conductors on a variety of projects. Pasi Hyökki notes that there is a lot to improve in attitudes towards choral music among professional musicians. Finns are avid choral singers, and there is a huge number of choirs in the country, but at the moment the Chorus of the Finnish National Opera is the only ensemble where one can actually make a living as a professional choral singer. The Helsinki Chamber Choir, for instance, is made up of professional musicians, but the choir can only employ them on a part-time basis. “There are things that one simply cannot do with amateurs alone. My number one dream is for society to understand that there is a massive limb missing from an otherwise thriving tree of culture. Is there really no need for a full-time professional choir? The orchestras at the Music Centre in Helsinki may well say that a choir of amateurs is good enough for them; well, would they say that an orchestra of music institute students is good enough for them too? Pasi Hyökki is also in charge of a choral festival. This is his third time heading VocalEspoo, a festival of vocal and choral music held every two years in early June. The festival has three pillars: courses, competitions and concerts. The competitions include both ‘choral battles’ and an international choral composition competition, which this year received no fewer than 161 entries. Hyökki does acknowledge that having competitions in music does not really make sense. “On the other hand, choirs participate in international competitions quite often. Usually it is more about self-improvement and attaining one’s own goals than about ranking. This is motivating for the choir members. I would prefer to have more competitions rather than no competitions at all, because having a plurality of competitions would lessen the importance attached to any one competition. Pasi Hyökki seems happy with where he is professionally: he is realising his artistic ambitions with fine choirs and carrying Finnish choral culture forward for his part. - Takes place in Espoo, Finland, 3–9 June 2018. - In the course of one week, the festival features a wide range of courses, competitions and concerts in many vocal genres. - Festival’s artistic director in 2018 is Pasi Hyökki.